Are you looking for the weather bulletins so that you can adjust the cooling and heating solutions of the house or planning to go for roof treatments and other external repairs and painting of the house? Local weather stations give the weather information in various media, but they are relayed at specific intervals and not real-time information. It is better to install a weather station of your own so that you can get the real-time picture without any delay and predict the weather and plan your work schedule. 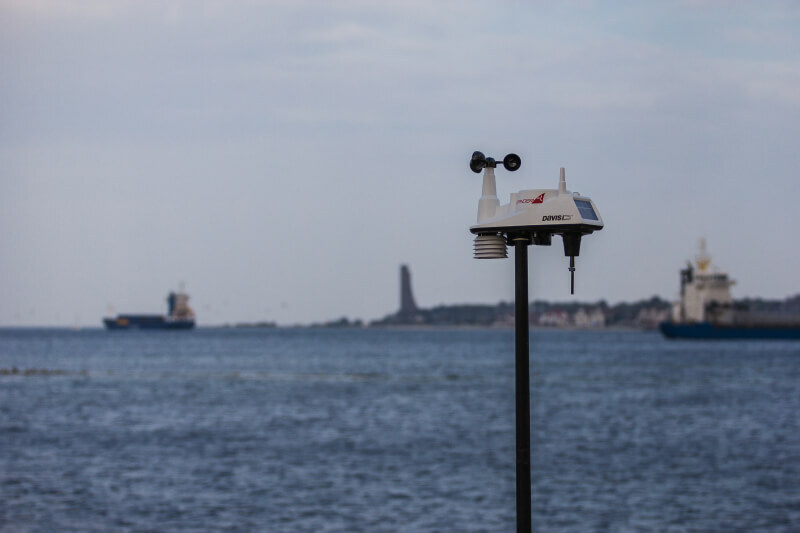 There are many weather stations available in the market that can be installed or if you had already installed one, the accuracy level of these weather stations are often degraded due to faulty installations or not following the maintenance cycle. If the weather station is not installed correctly as per the guidelines for fixing them, the gauges/sensors give reports that are not accurate. The least count or the tolerance level of these gauges/sensors that come with the weather station is also another factor that deviate the accuracy level giving poor levels of reading that do not match with the current weather. An interruption in power supply in weather stations provides erroneous reports. Purchasing low-quality instruments at a low price without knowing much about them is another cause of reduced accuracy in predicting the weather. Not only proper installation but also the placement of the weather station is one of the significant factors to give incorrect results that do not represent the real picture. 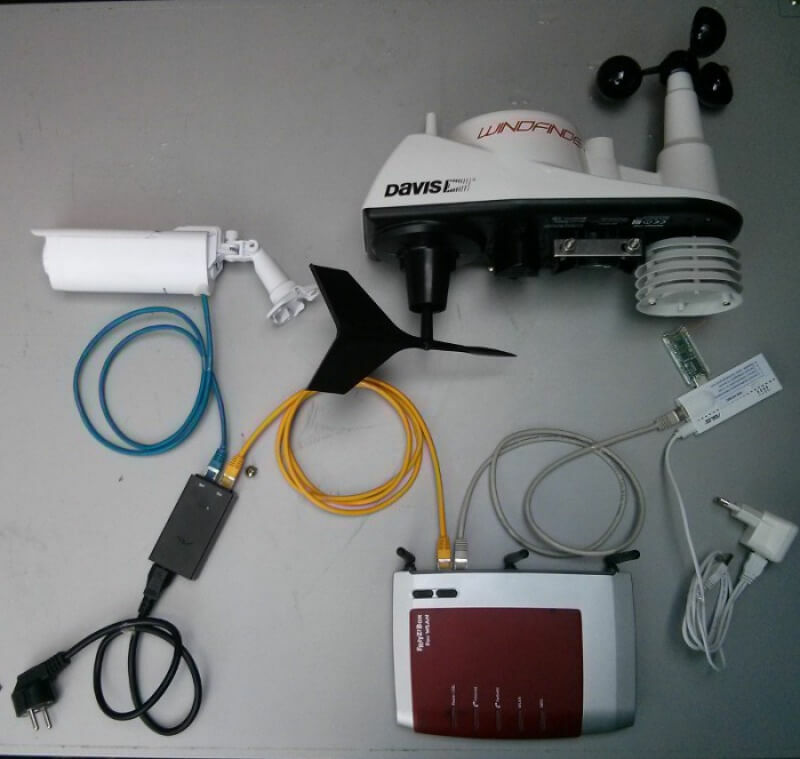 To enhance the efficiency of the weather stations first and foremost is to buy a package of instruments that give more or less accurate readings within the standard norms of variation. The temperature reading assigned by the atmospheric thermometer should be within (+)/ (-) 1 degree Fahrenheit and any translation that varies more than the level mentioned will provide the wrong prediction. One should check the range of the thermometer accordingly. The range of humidity prediction of the hygrometer should be within 3 to 4% so that the relative humidity and the absolute humidity in the air can be accurately compared. The pressure gauge is crucial. The weather conditions change rapidly with the atmospheric pressure. A good quality barometer should be installed that have a tolerance level of 0.03 Hg of pressure on either side. Rain gauges should be placed in an area where the wind does not carry away the rain without letting them fall inside the indicator, and the reading of the rain gauge should be within (+)/ (-) 5% of the exact millimeter of the rain. The wind speed and direction should be recorded more or less accurately. The course should not vary more than 3 degrees and the rate within 2 miles per hour on both sides. There should be provision for radiation shield. It prevents the sunlight to fall directly on the temperature sensor and reduces the error that may occur otherwise due to precipitation or solar radiation. Installation and placement of the weather station is a primary matter apart from the precision instruments. The temperature sensor should be installed about 5 to 6 feet above the ground and at a distance from any local obstructions such as a building or any concrete structures. The hygrometer that reads the humidity in the air should be placed at the height of 4 to 5 times of the nearest obstruction to get an accurate reading. All the sensors should be mounted on a high pole, boom or the most top structure in the home. The higher the installation except for the rain gauge, it is more effective particularly for measuring the wind speed and temperature. A good compass should always be used to calibrate the veins of the wind gauge as they are still needed to be done manually so that more or less precise direction of the wind can be measured. The height of the installation also reduces the turbulence that occurs near the ground as the wind passes through various channels of obstruction. The rain gauge should not be placed in an open space or near any shed or tree nearby so that the turbulence does not carry away the rain but fall inside the gauge to give a correct measure. It is best to place them in between the grooves of the trees in the garden. To get uninterrupted power supply a dual power management system should be used. Provisions should be made so that instruments can be powered by solar energy as well as electrical energy. If anyone fails, the other will work to give the accurate weather readings in real time that can be interpreted and predicted accordingly without any error. It is always better to use technologically modern instruments as a part of weather stations so that the reading comes out accurately. More and more devices are getting digital, and they can be connected to the computer to transfer and interpret the finding without any loss of time. This time of digital readers should be installed in place of traditional analog instruments to improve the accuracy. Like all instrument, the gadgets of weather stations need to be maintained and calibrated at times. The devices should be checked for accuracy at regular intervals, and in case of any malfunction, corrective measures should be taken. Dust and rust on the gauges, if any should be cleaned and the wind vane should be oiled to rotate without any obstruction. Otherwise, they are very easy to maintain. We had a old dusty weather station in my home and the data it was providing was extremely inaccurate. So I decided to give a face lift to it. I dismantled the entire outdoor unit and cleaned all the sensors, vacuumed the dust, tightened all the screws and installed it again. After 2 days of observation, the accuracy level improved by 89% when we compared it with the previous data. Accuracy can never be 100% correct. There are so much factors that may change the variables. The best we can do is to maintain the weather stations properly and make sure all the sensors are in good working conditions. The weather station has become an essential part and is being installed by many people to get the real-time weather conditions without waiting for the scheduled predictions of the local weather station. The farmers, the industry houses or the weather hobbyist are installing them to reap the benefits f the modern day technologies to plan their outdoor work.